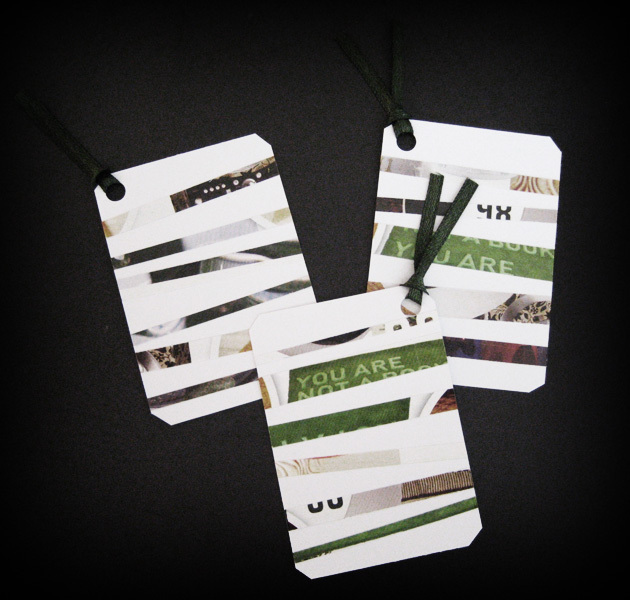 Here is an example of very simple, easy-to-make eco-friendly tag made of magazine pages. Saw this on www.alittlehut.blogspot.com by Patricia Zapata. As simple as using scrap pages of old magazines cut up into random sized stripes, they make pretty things. 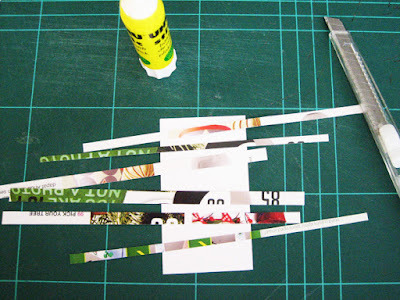 Please don't buy any materials, use scraps or leftover materials from your other projects, after all it's a recycle project. The beauty of this project is you'll always get a different color scheme each time you make a new one.